Having a flat all to yourself is the best. There are no flatmates to fight with, nobody nagging you, and pants are totally and completely optional. In any case, on the event that you don’t feel secure living alone, this fun experience can rapidly transform into one that keeps you up during the evening. Obviously, being scared and expecting the worst isn’t the approach. Be that as it may, understanding the dangers, and avoiding potential risk, is unquestionably a smart thought. Read on for some approaches to feel more secure when living alone, so you don’t need to lie awake at night. Make sure that the place you are renting or buying has good lighting in and around the premises. Don’t leave your lights on permanently, this is an indication to burglars that you are not at home. Let’s face it nobody is at home 24/7 and it doesn’t take a rocket scientist to figure that out. Invest in outside lights that work on a timer or some smart lights that you can control from your phone. This way you can save electricity and mimic being home without it being to obvious. Before you decide on a place make sure that the security of the place is up to standard. 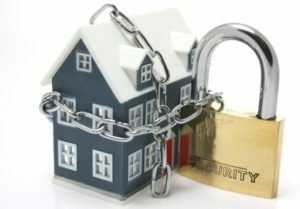 Make sure that the locks on the doors are legit and functioning, see if the doors have security gates in front and that your windows are burglar proofed. You should always lock your door or security gates, not only when you leave for the day, but even when you’re at home. Join the complex group or neighbourhood watch to stay informed about the happenings in and around your area. This way you can prepare yourself in advance if anything dodgy is going on. To ensure your safety, invite someone over if you get a handy man out to do repair work at your place. It’ll make you less of a target for the future, and keep you safer while they’re there. In case you’re going out for the day, close your curtains and blinds. You don’t need anybody looking in to perceive what’s worth taking, or seeing that nobody is home. Make sure to close them around evening time, as well. If you live alone at your place, befriend some of your neighbours and have them come over on a regular basis for drinks or dinner. You are less likely a target if your house is known as a busy one. Your neighbours may be your best asset in times of trouble and they’ll be more willing to lend a hand to a friend than they are to help out a stranger. OK, so your windows are secure, and you’re being smart about creepy noises and locking the door. But if you still feel unsafe, it may be time to take your security to the next level. If you are a person who wants a little extra security you can also invest in a security system, or different home automation products that will alert you when something bad is happening to or in your home. Living by yourself means you have to be more aware of your surroundings and trust your gut.